Canadian Cancer Survivor Network is building a voice for liver cancer patients in Canada. We need your help. Contact us today! Canadians affected by primary liver cancer often suffer alone. We’re working hard to understand why. What are the issues most critical to primary liver cancer patients & their caregivers? Treatment options? Access to care? Support associated with stigma? Want to learn more about our Liver Cancer Program and how to participate in our efforts? 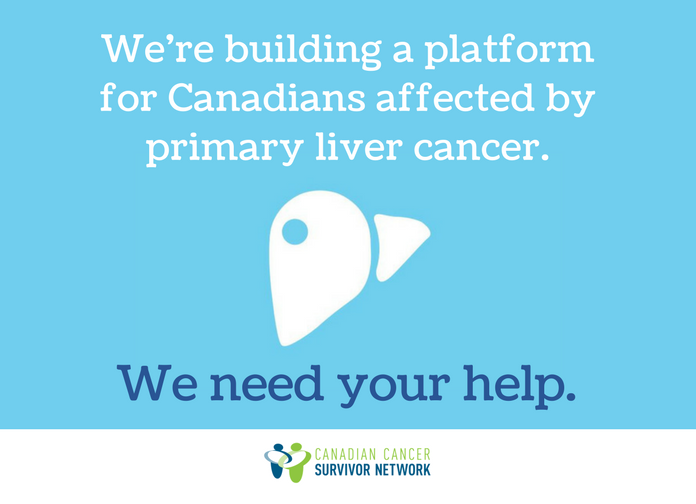 With your help, let’s start talking about liver cancer in Canada.